would be a beautiful display in any room. Thanks so much for taking the time to leave comments. Your support is greatly appreciated. All comments are moderated so may not show right away but stop back again. 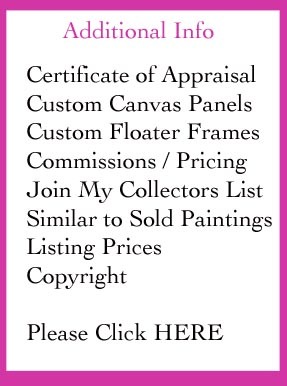 Fine art appraisal, art prices - Search free Click here: Free auction prices. Signatures and monograms. Artists on the internet have their photos stolen all the time. Most people that are doing this are stealing for personal gain and are trying to have prints reproduced to sell in their own countries. 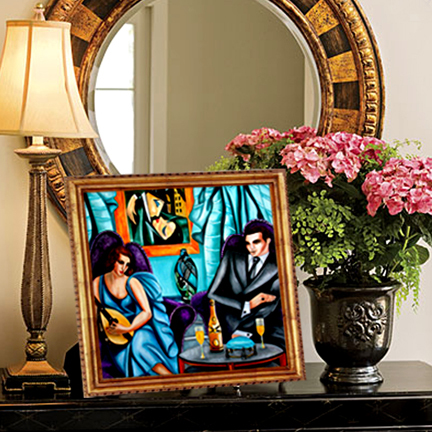 This is to notify you that all photos of paintings on this site are copywritten under the USA and Foreign Copyright Laws. Art Theft is a Crime! You will be prosecuted to the fullest extent of the law. Subscribe Here for Beautiful Paintings to Your Inbox. My diversity has enabled me to survive as an artist for over a half century. 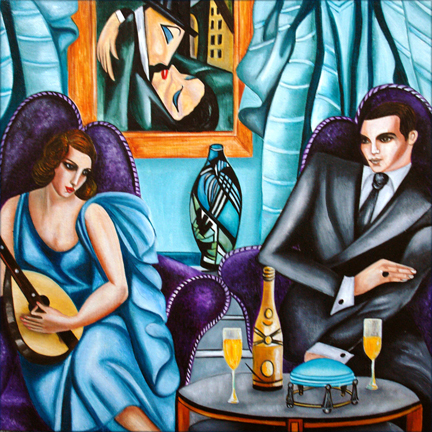 Most artists stay with a style that reflects their inner personality. I believe that an artist should be like an actor who plays many roles and who subjugates themselves to the role at hand, letting it tell them how to play it. A chinese artist once said, " to paint a flower you must "be" a flower, to paint a tiger, you must be a tiger. "Madison"
Copyright k Madison Moore Portfolio 2010.
site built by Sarah Trefny from elements by Anshul and Santosh Setty .